It’s only the second week of the New Year, and Johnson & Johnson has announced plans to hike the prices of more than 20 of its products, many of which are already among its best-selling. The hiked medicines include psoriasis drug Stelara, blood thinner Xarelto and prostate cancer therapy Zytiga, with the majority of increases reaching between 6% and 7%. Despite the move, J&J spokesman Ernie Knewitz gave assurances that the company has no plans for any further price increases this year. But J&J are not alone; they are just one of a number of pharma firms to hike their prices in the US since the beginning of the year. By 2 January, over 250 prescription drugs saw their prices hiked, and just a week later, on 10 January, this number had doubled to 490, according to pharmacy transparency firm Rx Savings Solutions. Among these firms were big names such as Novartis and Sanofi, who raised the price of insulin by between 4.4% and 5.2%. Sanofi defended its actions by asserting that its increases fell below projections for medical inflation made by the Centers for Medicare & Medicaid Services, while Novartis argued that its increases were made to counter raised rebates to insurers and pharmacy benefit managers. 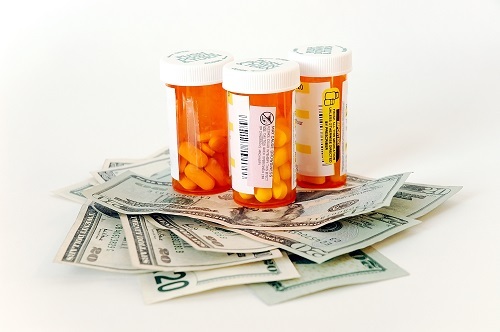 Ever-increasing drug prices has been an issue high on the political agenda in the US for some time, and J&J’s increases were announced on the same day that Democrats in Congress proposed legislation designed to push down the prices paid by consumers for prescription medicines. Still, despite the mass of hikes since the year began, the first days of 2019 have still been less extreme compared to last year, which saw 650 drug price hikes in its first ten days, suggesting that the pressures placed on the industry are having some positive effect.